We manufacture a wide assortment of packaging tapes like filament, double sided and even protection film etc which are useful in different industrial use. These can be used in decorating, labeling, protecting, combining, sealing and even color coating. 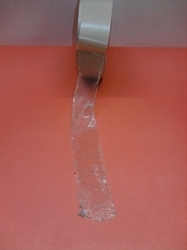 Our entire assortment of packaging tapes can be used for applications of high temperature or cold temperature. These can be furnished by us many dimensions and can be custom-made on clients' requests. 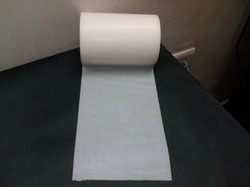 We are leading manufacturers of milky white tapes which have backing by fiberglass. These are very useful for industrial use and are very strong which do not tear easily by hand and without a cutter. These are made from polyester film and glass yarn that are coated with hot melt adhesive or solvent. It is used in heavy duty packaging, extra support, fixing of metallic and wooden parts. Available in many colors and size and grade. Packaging Details: 2" X 50mtr 72 Rolls In one box. We manufacture a wide assortment of packaging tapes like stuck tape, filament, double sided and even protection film etc which are useful in different industrial use. These can be used in decorating, labeling, protecting, combining, sealing and even color coating. Our entire assortment of packaging tapes can be used for applications of high temperature or cold temperature. These can be furnished by us many dimensions and can be custom-made on clients' requests. 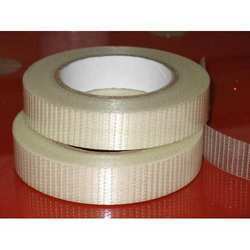 We are leading manufacturers of filament tapes which have backing by fiberglass. These are very useful for industrial use and are very strong which do not tear easily by hand and without a cutter. 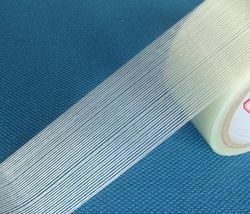 These are made from polyester film and glass yarn that are coated with hot melt adhesive or solvent. It is used in heavy duty packaging, extra support, fixing of metallic and wooden parts.